Step into The Counter and you’re greeted with a clipboard and an extensive list of fresh mouth-watering ingredients that allow you to build your own gourmet burger. 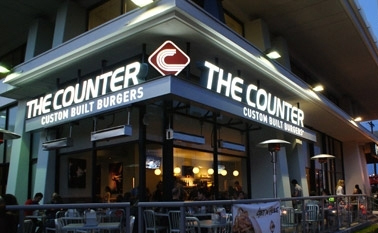 Established in 2003, The Counter is the 21st century’s bold answer to the classic burger joint. Ushering in a fresh era of industrial decor, today’s music, cold beer, unique wines, cocktails, and burger options that are only limited by your imagination.